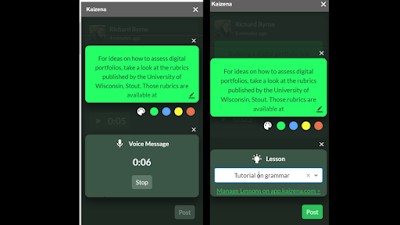 Kaizena is a free Google Docs Add-on that makes it easy to add voice comments to your documents and to the documents that students share with you. 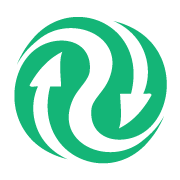 Today, the Kaizena team announced a new streamlined version of their Google Docs Add-on. The new version lets you record your voice comments without having to ever leave the document. Once you have the Kaizena Add-on installed and open, you can simply highlight any piece of text in a document and then click the record icon to record a voice comment. Kaizena also supports writing comments. One other awesome aspect of Kaizena is the option to link your comments to a lesson that you have stored in your Kaizena account. For example, you could highlight a misuse of "their" or "there" in a student's document and then link that highlight to a lesson about homonyms. Kaizena provides a great way to efficiently deliver feedback to your students about their documents. The combination of voice comments with direct links to a lesson could be very helpful to students who might otherwise be confused by the voice comment alone or the lesson alone. You can learn more about Google Docs Add-ons in my on-demand course, G Suite for Teachers.